Evelyn made my car buying experience easy. She was very helpful in asking what I wanted for my Murano. She is also very knowldegable and walked me through all the features of the car and all the specs. 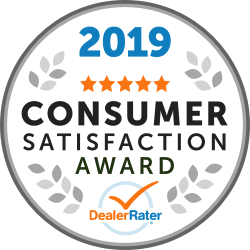 "Excellent Dealership, upfront no annoyig sales tactics"
Great experience. Through my employement i receive manufacturer discounts and nissan is a set price. 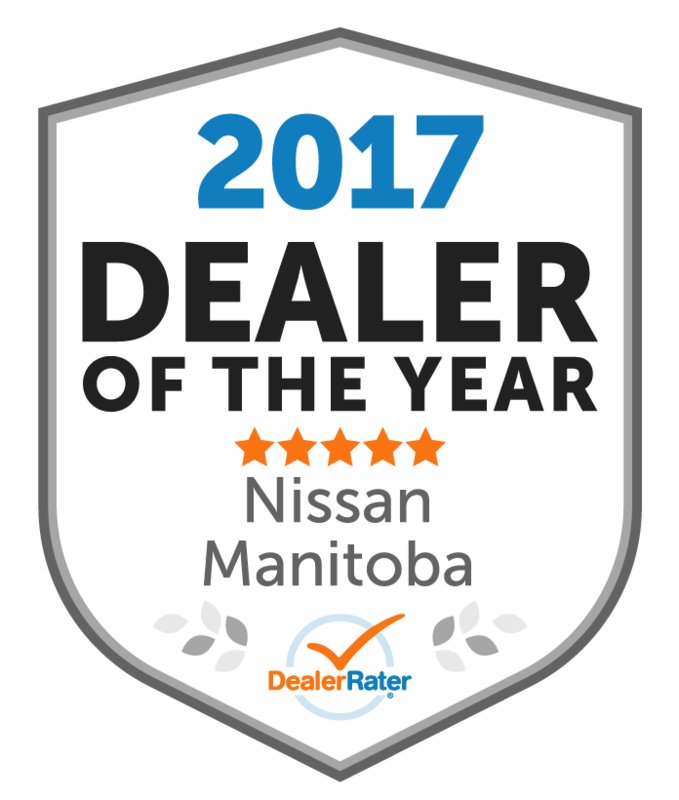 Out of the 3 dealerships McPhillips Nissan was he only one to provide me with the correct pricing right away. The others wanted me to come down before giving price or provided pricing that was more than on Nissan website. I dont have time for the others garbage sales tactics and i very much appreciated the to the point no bull the staff at McPhillips Nissan provided me. Additional note When i had to bring my 3 young children to the dealership to finalize the deal the other salesmen entertained them allowing me to pay attention to the large purchase i was making. Went in to buy a car for my wife. When we took cars for a test drive, the salesperson, directed the route and stressed out my wife, she was not able to relax and just drive the car with him constantly giving her instructions on where to go. A few days later, I went in to purchase the car and they pulled the usual shady sales tactics, pretending to talk to a manager to get "a deal" and offering to pay the balance on the loan of my current car instead of a fair market value on it. I was getting frustrated, and needed time to go over the paperwork, then the sales manager came and started BS-ing me to keep me distracted from reading the fine print on the contract, which I later discovered cost me an extra $3000 in hidden fees. They also didn't put the trade in value of my car toward the new car loan as I requested, instead I received a direct deposit into my bank account a couple weeks later. I would not recommend this dealership. They are friendly on the surface, but as shady as they come when it comes to business. used the type of tactics I would expect from a used car lot selling lemons, not new dealership sales. "Beware of what is promised"
We bought a 2018 Qashqai from McPhillips Nissan. Everything was ok during the purchase, including the deal we made to include snow tires. When we went to pick up the tires, they knew nothing about them and said that there was nothing in the deal for them. Only when I returned with my documentation and notes did they find them and then went on about how much the dealership lost in the deal. After installing the tires we found that there were no pressure sensors installed. I went to the sales rep ( Kurt) who became defensive and sarcastic I went too The GM (Jeff) who went on and on about how much the dealership lost on our deal. And also how much the salesman lost on the deal. Give me a break!!! All he would do is offer the sensors at his cost. Plus installation. Interesting that another shop in the area could provide the sensors for 15.00 more that he was offereing. Some "Cost" price. They are a true car dealership. Nice when you are buying the vehicle, but service turnes to crap if there are any issues. If you must deal with this dealership, take notes on the deal, have your records handy for after the deal, and don't expect any customer service afterward. Went in to take a look at a potential future vehicle and signed a lease that day. Great service here and I would highly recommend. I received exceptional attention from Jeff (owner), Shane and Nav. The process for purchasing a new truck and arranging the financing was easy and painless. 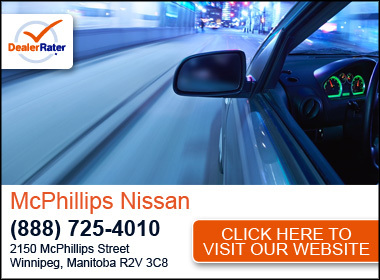 I would highly recommend McPhillips Nissan. "Straight to the point and knowledgeable"
The sales consultant didn"t waste my time and gas when I talked to him over the phone and then in his office. I asked the all-in lowest possible quote he could give me for a vehicle that I liked and he was able to give me a quote without telling and pressuring me to come over his office. When I decided to schedule an appointment with him he got a feel of what I was looking for based on my queries and he confidently gave a recommendation. I left his office feeling productive. I got what I wanted at the price I can afford. I will not hesitate to recommend him to my family and friends. "Great, Easy to deal with"
I really appreciate the service that Val provided me when I purchased my 1st Nissan Rogue with him. He is a kind of salesperson that will really look after you even after the sale. He is honest and will always help you find the car that suits your needs and preference. Highly recommended dealership!